It is very important for those planning wedding celebrations to consider booking minibuses for wedding guests when the reception will be in the Miami area. Let’s face it! Those who live in Miami often get aggravated and sometimes confused when trying to maneuver their ways through the busy roadways. This could truly be problematic for out of town wedding guests, as they will be traveling on unfamiliar roads loaded with traffic. Should the celebration end when it is dark outside, it could be downright dangerous. In order to ensure the safety of those attending the celebration of marriage, brides and grooms should seriously consider hiring minibuses for wedding guests in Miami. Another important thing that should be considered when planning a wedding in Miami is the fact that many guests very well might have a bit too much to drink. After all, it’s a celebration of the new life ahead of the happy couple however; too much imbibing could result in some bad things. The laws against drinking and driving are quite strict in Florida, and the Miami police are not afraid to stop vehicles and arrest drunken drivers. It would be even more devastating in one of the wedding attendees was in a crash because he or she had a bit too much to drink. 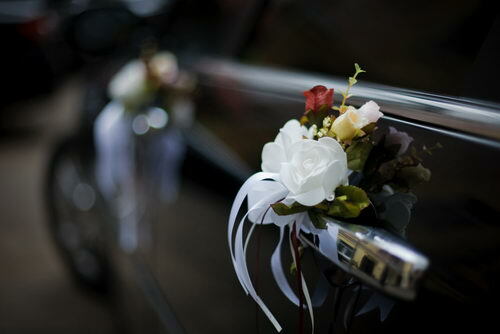 It’s safer for everyone on the roads if the bride and groom hire luxury minibuses for wedding transportation services. LTG Miami specializes in providing minibuses for wedding celebrations in Miami. Luxury Transportation Group USA is the go to provider of minibuses for wedding guests booked by top Miami wedding coordinators. They pride themselves on providing safe and luxurious minibuses for wedding transportation services in Miami and the surrounding area. Contact Luxury Transportation Group USA for all of your wedding transportation services in Miami.